Since Pirate101 is celebrating Cinco de Mayo with their "Pirates de Mayo" celebration, I have decided to have my own event! Let's all get together and storm Cool Ranch to farm for awesome pets! 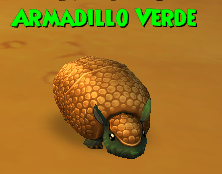 The dropped pets in Cool Ranch include the highly sought Armadillo Verde, as well as the Tropical Sky Snake and Golden Stingtail. Please go to Avery's court first to add me so you can port. Look for Autumn Walker. Once we port to Cooper's Roost, we will split into groups to go in and farm. And as always, all levels are welcome! Just be sure you have a membership or crowns to buy the area. I hope to see you there! :) Happy early Cinco de Mayo!